Parents may have numerous challenges as they shift into senior citizen years. 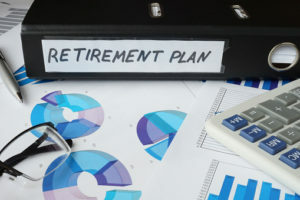 However, a new study by the Center for Retirement Research at Boston College, determined that children can be a detriment to saving enough for retirement. Children are expensive because they require clothing, food, child care, and education. The overall family income can be negatively affected by one parent, in particular, taking a lesser job or staying at home. 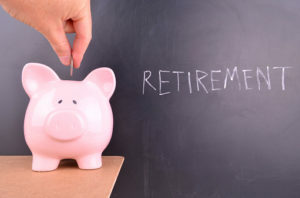 This means less of a chance that that parent will be able to set aside money for retirement. Within a family, every child is associated with up to 4% less wealth. If the parents are in their 50s, each child increases by 2 percentage points the parent’s risk for not having enough support financially to get through retirement. It’s estimated that nationally approximately 50% of couples do not have enough assets like a pension payment, retirement plans, or a house that is completely paid to sustain them through a full retirement, which could last as many as 30 years given recent longevity numbers. With this information, you need to be prepared to protect yourself and consider all of your financial obligation as you near retirement. Retirement and estate planning are well worth the time and effort put in to ensure you’ve got something that reflects your needs and goals. Engage the services of professionals to get peace of mind with your planning. What Do Job Satisfaction, Work-Life Balance, and Retirement Have to Do with One Another? Anyone who is thinking ahead to retirement has probably invested a significant amount of time into their career as well as planning ahead for what their retirement will look like. Having consultations with a broad range of different professionals can help you to articulate your goals and ensure that your current plan is in line with your needs. Two of the major issues that affect the employees in their 50s and 60s include job satisfaction and work life balance. At the recent 2017 Retirement Research Consortium Meeting, new studies were shared regarding a perspective on both of these issues. Researchers in a California study found a strong connection between women stepping out of the workforce when their spouse had a health shock. The same desire to leave the workforce occurred whether the woman was employed on a part time or full time basis. In fact, up to 14% of people who retired earlier than planned said that their reason for doing so was having to care for a family member such as a spouse. When a spouse gets sick, this often causes a reprioritization and indicates that life may be interfering with work. According to the research study however, men were unlikely to follow the same pattern as their wives when the women had health shocks. The study shows that women bear a lot of the responsibility when life intervenes around retirement. 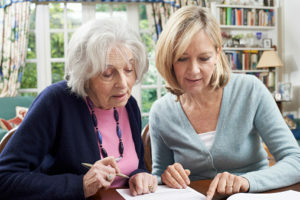 If you have questions about how to connect your retirement planning and your estate planning, scheduling a consultation with an experienced professional is strongly recommended. An estate planning attorney in Massachusetts can help illuminate you about some of the most critical issues to pay attention to during this vital time. Many people looking to retirement don’t want to suddenly stop working altogether either for financial or personal reasons. They instead want to phase into it by switching to part-time hours first. However, there’s a gap between what employees want and what employers expect. The Transamerica Center for Retirement Studies recently identified that 77% of employers believe that the majority of their employees will want to continue working after they retire. However, up to 47% of employees envision a phased transition to retirement. Very few of them actually end up phasing into retirement. Many employers do not wan t to allow their employees to shift from full-time to part-time. Just 27% of employers allow workers to take on positions that are less demanding or stressful so that they can prepare for retirement. 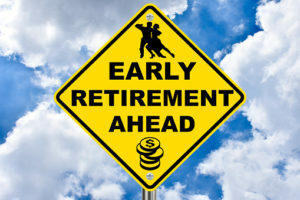 These phased retirement programs are rare even though there is clearly interest in the market coming from employees directly. More than 1,800 for profit company employers were interviewed for this study. 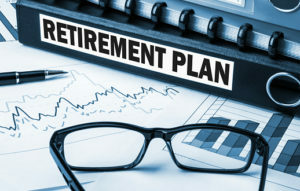 Although 71% of those employers believe that they were aging friendly with regard to work arrangements, opportunities, and training for all ages to be successful, many of them do not provide a comprehensive or clear program for phasing into retirement. The US Government Accountability Office recently completed their own study for the US Senate Special Committee on Aging. They’ve identified that phased retirement programs offer a great deal of flexibility for employers and workers, but that they are extremely rare. If you have questions about the retirement planning process and how it works alongside estate planning, schedule a consultation with an experienced estate planning lawyer today. Millions of baby boomers are headed into retirement and unfortunately, some may discover that they are not as prepared as they thought they were. Thinking about retirement is a great opportunity to evaluate mistakes you have made up to this point or to avoid them in practice altogether. The first and most common mistake with regard to retirement planning is failing to get an early jump on planning. The earlier you start saving for retirement, the easier it is to accumulate the necessary resources. Young individuals who are settling into a career, purchasing their first home, and getting married will frequently defer retirement planning, which could cost them in the long run. The next major mistake in retirement planning is underestimating your retirement needs. Most people don’t realize how much money they will actually need to acquire in order to retire comfortably. A person will usually need to replace close to 90% of his or her income before retirement to maintain a standard of living and as longevity numbers are increasing, this becomes even higher. Furthermore, many people overestimate their ability to continue working past a certain age. People with desk jobs are most likely to assume they can continue working, but this is often not the case. Reasons outside of their control such as poor mental or physical health, losing their job or having to care for an ailing spouse or a loved one are just a couple of the reasons why you may need to stop working sooner than you anticipated. Want more information about retirement and estate planning? Make a call to a Massachusetts estate planning lawyer today. After you’ve been working your entire adult life, when a company presents you with an early retirement offer, it seems wise to take it. It can even be tempting if you’ve been planning to get out of the job for some time. But you should never accept an offer without first carefully reviewing your options. Many people dream of early retirement, but the decision to take it can be a complicated one. There are both emotional and financial considerations to evaluate. There is a psychological impact of early retirement. If you are not fully prepared to transition from your full-time job to a more leisurely schedule, the adjustment can be challenging. You can even face more health issues as a result. 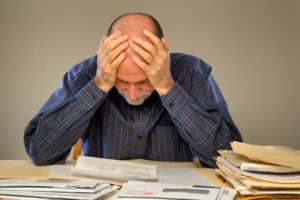 Experiencing mental health problems like anxiety is extremely common for someone who has not planned for the transition from working to early retirement. This is why it’s beneficial to determine whether or not you are psychologically ready to make the jump from your job to being retired sooner than you anticipated. Breakdown the offer that you were given by your company to determine whether or not it is worthwhile to retire early. The offer should include a breakdown of this important information and you are in particular interested in any post-retirement medical insurance and a severance package. Compare the severance package provided by the company to the earnings you would make if you stayed employed. 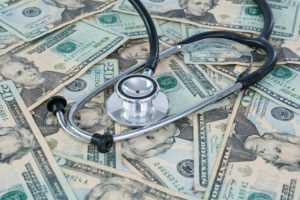 Since Medicare coverage does not begin until you turn 65, you will need to have health care insurance that will protect you from your early retirement until your 65th birthday. Ready to talk options? Then it’s time to call a Massachusetts estate planning lawyer to discuss more about your retirement and your estate.